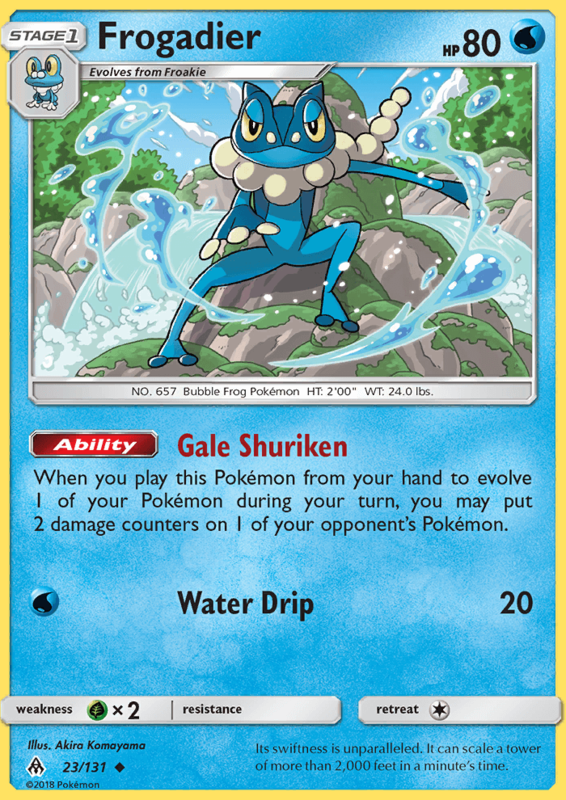 When you play this Pokémon from your hand to evolve 1 of your Pokémon during your turn, you may put 2 damage counters on 1 of your opponent’s Pokémon. Its swiftness is unparalleled. It can scale a tower of more than 2,000 feet in a minute’s time.